Does Europe restore border barriers? In order to live, Schengen must be reformed, French President Nicolas Sarkozy said in Rome. He and Italian Prime Minister Silvio Berlusconi demonstrated friendly relations, in spite the tension between the two countries because of the Tunisian immigrants. While protesting for being left to deal alone with the influx of North African refugees, Italy gave them temporary residence permits, which many of the immigrants used to go to France. This in turn provoked the discontent of Paris, who refused to accept refugees, unable to support themselves economically. Ultimately, both countries united their efforts to demand changes in the Schengen acquis because of the refugee influx from the south (and the expectations for new migrant waves from Libya). The basic idea is Member States to be allowed to restore temporarily internal border control in the event of “exceptional difficulties”, as the leaders of France and Italy put it in their joint letter to the President of the European Council, Herman Van Rompuy, and European Commission President Jose Manuel Barroso. 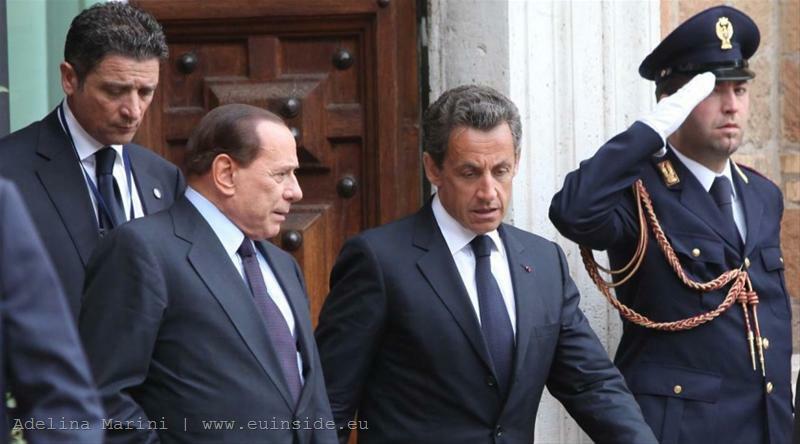 While Nicolas Sarkozy and Silvio Berlusconi do not specify what is meant by “exceptional difficulties”, the letter states that specific conditions must be clearly defined. It is also clear that it is about to find some kind of widening the grounds upon which member states to decide on the restoration of border control. 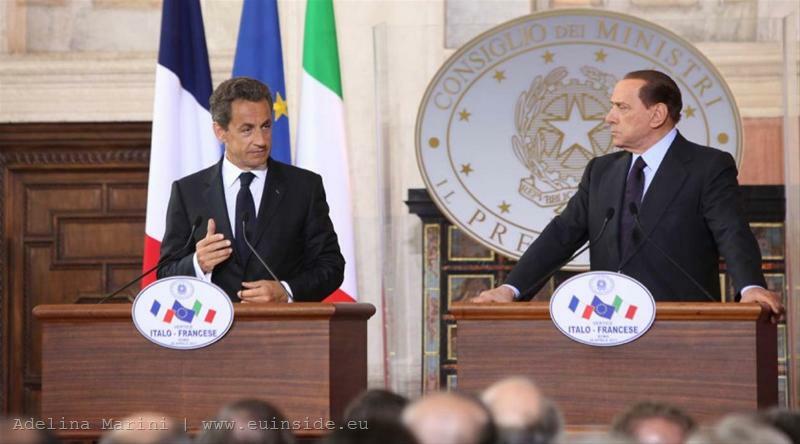 “Who manages Schengen?”, Mr Sarkozy asked rhetorically during his joint briefing with the Italian Prime Minister. He meant that the Justice and Home Affairs Council should have a greater role and interior ministers should have a say in changing the Schengen rules. Both countries want a greater role of member states in the Schengen evaluation mechanism. The letter proposes Frontex (the EU border agency) to have a key role in coordinating the evaluation system by creating teams of experts for assessment and control, including in view of creating of European inspectors, carrying out missions and reports. It is proposed to increase the operational capabilities of the agency and to establish a dedicated Mediterranean office. During the joint briefing President Sarkozy gave the example of the changes to the EU economic governance, which were provoked by the debt crisis in the eurozone. "We wanted a single currency and we have reformed the economic governance of Europe. Well, we want the same for Schengen.” Even the same term is used in the letter: “strengthened governance of the Schengen area”, which “must be based on more stringent requirements and more effective tools to achieve greater cohesion and collective discipline in the levels of protection of common borders, including for the Enlargement of the Schengen area”. The strengthening of the Schengen area governance should be monitored at political level. There is another parallel with the euro area - the letter speaks of financial solidarity among the Member States in terms of the influx of immigrants, just as it was needed to manifest financial solidarity with the troubled eurozone economies. Schengen means trust, Sarkozy recalled. “If a country fails to protect the borders of others, what do we do?” His remark can be considered as a hint about the Schengen enlargement to Bulgaria and Romania. The technical assessments of the two countries are finally complete and confirm their readiness for Schengen membership. The question now is about the political evaluation and, as euinside repeatedly wrote – about trust. 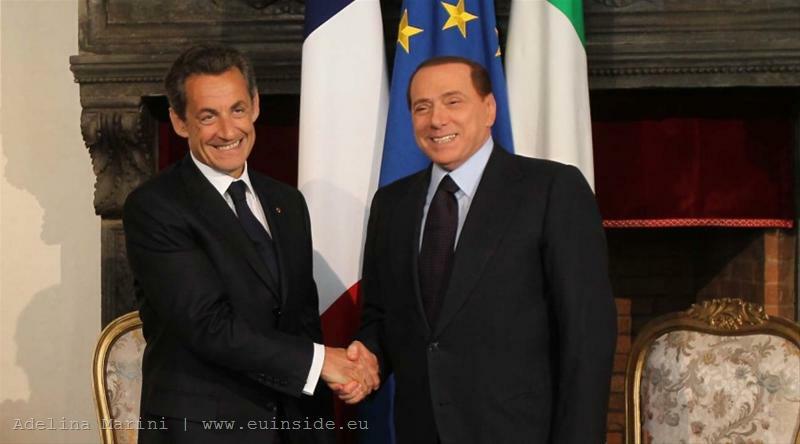 It is no accident that the letter of Nicolas Sarkozy and Silvio Berlusconi underpins the political assessment of the Schengen governance - this is a legalisation of the political factor, which is currently dominated by the technical assessments, at least seemingly. But as it became clear, the political factor has crucial importance in this situation. 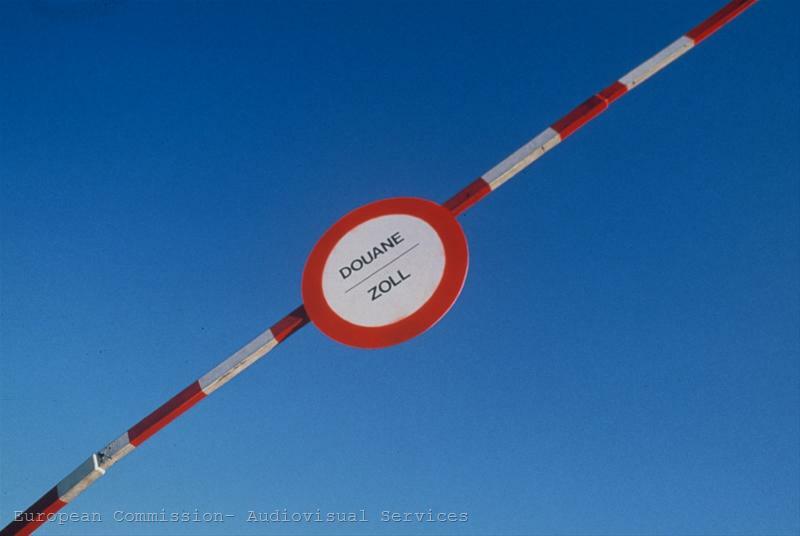 As you know, France and Germany, backed by other member states, openly raised the issue of linking Schengen membership of Bulgaria and Romania with their evaluations under the Cooperation and Verification Mechanism (CVM) in the field of justice and home affairs, imposed on both countries by the European Commission. Initially, despite some delay in time, any decision on Schengen membership of Sofia and Bucharest was expected after the summer reports of the Commission. Now, however, this perspective becomes even more uncertain, given the changes in the Schengen rules, requested by France and Italy, and the situation in North Africa. For Bulgaria such developments mean that the Schengen membership is receding significantly. This should not be considered as being dramatic, apart from those seeking political gains from the Schengen issue, because ultimately, it is uncertain whether this membership is favourable for the country in the current situation. In Europe, reactions are divided into two groups: on the one hand critics accuse Paris and Rome of touching such a symbol of European integration as the Schengen area. On the other side are those who warn that stopping migrants from outside will not solve the problem with immigrants within Europe. It is this issue that puts additional pressure on European politicians looking for political support at national level. Moreover, in competition with populist, anti-immigrant parties, which are gaining popularity in Old Europe. 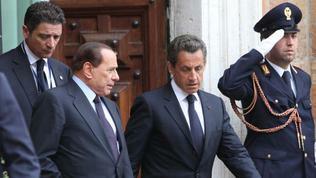 There will be presidential elections in France next year which drive further President Nicolas Sarkozy. 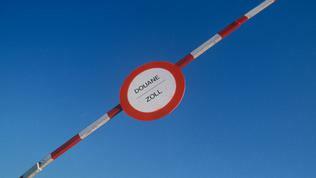 Only in few days, on May 4, the European Commission will present its proposal for changes to the Schengen rules. Then it will become clear whether our feeling will have been justified, that Italy and France do not just make a spontaneous initiative in response to their own problems, but for most of their demands the ground has already been prepared, judging from the diplomatic shuttle of European Council President Herman Van Rompuy in Greece, Cyprus and Malta, from which it became clear that immigration (and Schengen) will be the main topic of the June European Council. If we use again Sarkozy's analogy of the economic governance, where France teamed up with Germany, two similar Franco-German initiatives (the European Stability Mechanism and the Pact for the Euro) have already materialised in a Union's decision. So, it is very likely that there is the needed political consensus for many of the ideas in the Franco-Italian letter that would allow to proceed with action pretty quickly. But there is also a very strong argument that can block some of the ideas of Paris and Rome - money. Many of the northern countries may not be inspired by the idea to pay more to guard the southern borders. Just as running Northern Europe has been reluctant to pay the debts of the destitute South. How far this argument will prevail over the demand for domestic political dividends will become clear soon. And the European interest must be justified too. As in the case of the euro area, the Schengen changes will likely lead to greater integration. But the criteria for those remaining outside will become even more severe.